Hydroxyprolines are available in different isomeric forms. 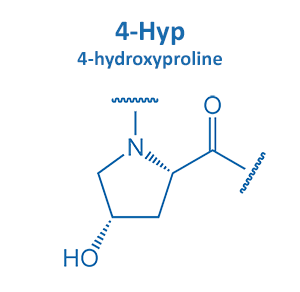 BIOSYNTAN offers peptides with 4-Hyp and 3-Hyp. Both building blocks can be implemented as cis- or trans-isomer. 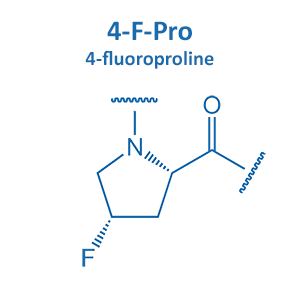 BIOSYNTAN offers peptides with 4-Fluoro-proline in cis- or trans-configuration.